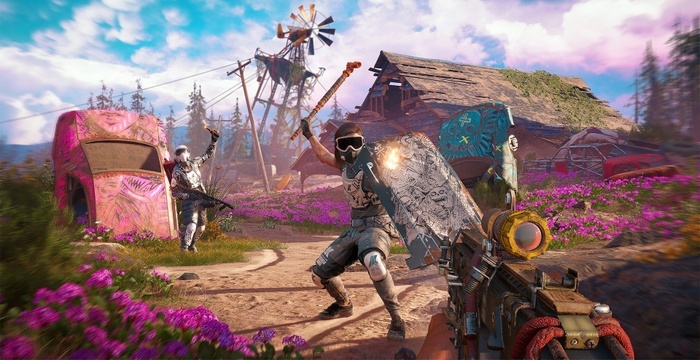 Far Cry: New Dawn was announced at the awards ceremony of The Game Awards. The authors also presented a debut trailer. Montana will again be the scene, and events will occur some time after the end of Far Cry 5. According to information from the pre-order page of the game on Amazon, players will have to develop their own base and assemble a team of dangerous robbers. The plot of Far Cry 5 had a clear political overtones – the game had to fight a militant radical Christian sect, entrenched in the mountains. The game itself also had a mass of comments on the theme of white supremacy, xenophobia and the policies of President Donald Trump. New Dawn, apparently, will continue this line, but in a sense, will bring it to the other extreme. At the end of the game’s debut trailer, you can see the cameo of Far Cry 5’s main villain, Joseph Sid, who says he wanted to create a new world, but “made a mistake”. The main villains of New Dawn are two twin girls, who at some point promise to “take away everything that is dear to you and destroy everything else.” And it is up to them to fight the player. The game will be released on February 15 on PC, PS4 and Xbox One.